If you haven’t heard of Safari Books Online it’s basically a massive collection of the most popular technical books (over 12,000) that you can access, search, and read online. It’s a phenomenal service, but you have to pay for it as a monthly subscription. It’s arguably worth paying for, which many of my friends do, but yesterday I learned that if you live in California and have a library card you get access to the service at no cost. The whole library. Free. Just for living in California. I know there are many horror stories around how California spends tax money, but this is a clear mark in the “well spent” category. Get a library card from your local county library. Go to your county library’s website, e.g. sfpl.org or aclibrary.org, etc. Find a link for e-books and click on the link to Safari Books or Safari Tech Books. Enter your library card information when prompted. That’s it! 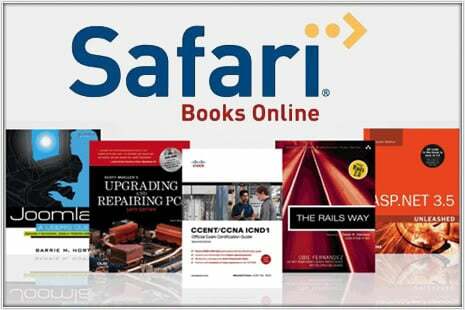 Enjoy the entire Safari Online Library.